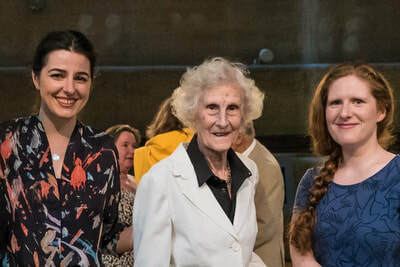 As part of the London Oriana Choir's Five15 project, giving a voice to women composers across the UK, Ailsa Dixon's anthem These things shall be, setting verses by John Addington Symonds was premiered at the Cutty Sark in July 2017 in a concert which also included music by Cheryl Frances-Hoad and Dobrinka Tabakova. Dixon's anthem had in fact been written 30 years earlier, Ailsa Dixon was 85 at the time of the concert and would die five weeks later. Ailsa Dixon is one of a number of composers, often female, whose work has taken place quietly, with performances by friends and contacts, without any great fanfare. Thankfully we are beginning to discover Ailsa Dixon's music. She was born in 1932 and studied music at Durham University, and would go on to become a piano and singing teacher, but (as she explained in an interview published last year) what with teaching and family life there was little time for composition. 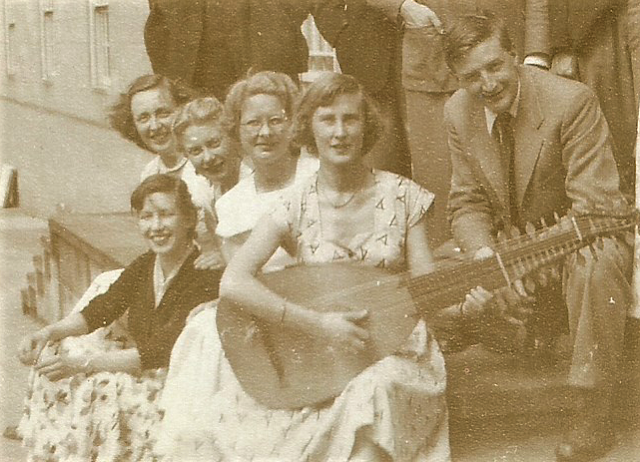 She and her husband, Brian, founded a small early music group. A key moment in her development was when she and Brian staged Handel's dramatic oratorio Theodora in 1976 with a cast including many of Ailsa's pupils. This gave rise to Ailsa's own opera Letters to Philemon which was produced in 1984. She had filled what spare time she had by writing poetry, and this helped her to craft her own libretto for the opera, which is about St Paul in captivity, drawing on early conversations with her grandfather during weekends out from her own 'captivity at boarding school'. She went on to produce a number of works at this period, under the tutelage of the composer Paul Patterson, and her works include string quartets, a wide number of songs, a children's opera and choral music. You can find out more about Ailsa's works from the website which is devoted to her and her music. And there is now a YouTube channel devoted to recordings of her works.